Check out our spine-tingling Halloween-themed discount! This year we’ve decided to celebrate Halloween with a sale on our most hair-raising titles! We’re giving you a discount code for 25% off of four terrifyingly great books that we recommend for your Halloween reading pleasure. Use discount code: HALLOWEEN at checkout to receive your discount! From the acclaimed filmmaker and spiritual guru Alejandro Jodorowsky comes a novel that lies somewhere between werewolf novel and cowboy western about a beautiful albino giantess whose allure turns the men of a Chilean village into beasts. 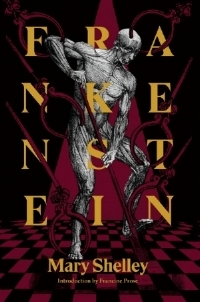 Frankenstein: or, the Modern Prometheus is a classic in the horror genre for good reason: it’s a tale of scientist Victor Frankenstein and his quest to create a being out of old body parts and bring it to life, only to find his creation violent and out of control. Heartland is a dystopian tale whose protagonist goes on a quest for revenge against the woman who stole her lover, leading her down a dark path of blood and violence. 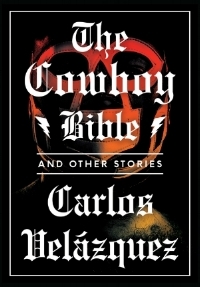 The Cowboy Bible is a collection of surreal, ironic, and madcap stories about the comedy and brutality of life in Mexico, featuring tales of greed, transformation, and a frightening look at the negative side of human nature. Now through the end of September, Restless Books will donate $5 for every book written by one of our Mexican or Puerto Rican authors that we sell on our website. "The Cowboy Bible is a book of scripture. It is an inebriated burrito vendor, a talisman, and an anxious teenage girl seeking opportunities to rebel. It is an overweight single mother, a musical instrument, and the enigmatic forces binding Velázquez's surreal collection of prose in his English language debut. Eluding easy classification, the book has three parts: Fiction, Non-fiction, and Neither Fiction Nor Non-fiction. The stories take place in the fictional Mexican state of PopSTock! In the title story, the son of a professional wrestler continues his father's legacy, stepping into the ring under the alias Menace Jr., while also pursuing a career as a DJ, a musician, and a visual art critic. "The Post-Norteño Condition," is mostly dialogue and incorporates a stage play format. Its protagonist, Old Man Don Paulino, attempts to trade his soul and his wife to the Devil for a pair of rare boots. Like these narratives, all of the stories are distinct but share similarities in tone and structure: layers of pop culture references, quoted verses and song lyrics, and references to events mentioned in other portions of the book. In her translation, Obejas superbly amplifies Velázquez's style. Playful and clever, inventive but familiar, this brief book is deeply satisfying, and warrants multiple readings." You can find out for yourself when the book goes on sale January 26. Scroll down to check out the brave booksellers and critics who donned the mask, see the final jacket artwork designed by Rodrigo Corral, and pre-order the book below! "The Cowboy Bible will challenge readers to push beyond cultural stereotypes and rethink everything they know about northern Mexico and their homes."